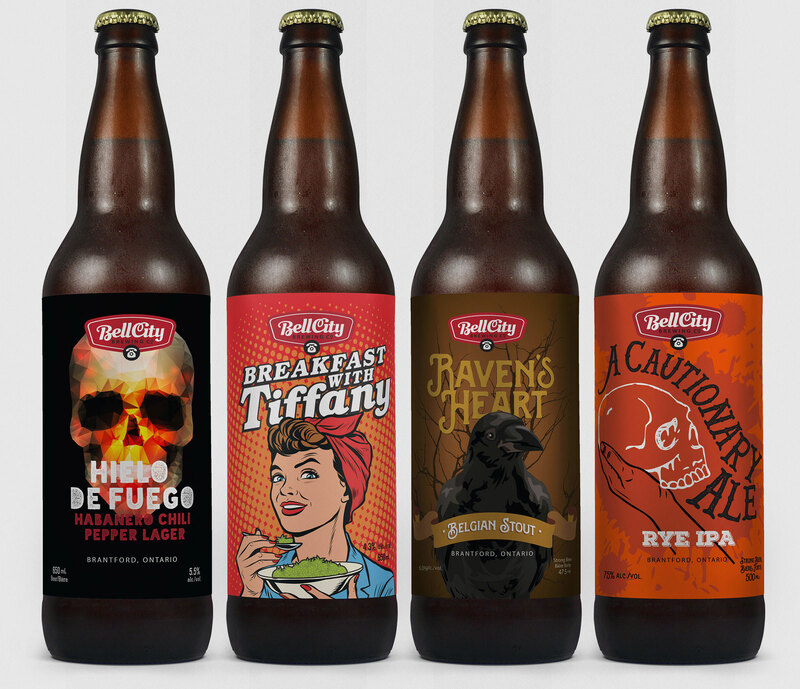 It’s been another busy year creating new packaging for a local craft brewery including a new series of can packaging for LCBO products and new beers sold at the brewery. Switching the cans to a new process and pushing the limits of the printing techniques by combining opaque inks with matt varnish on translucent materials to allow the shiny metal created interesting juxtaposing effects that really jump off the shelves. And simpler paper labels for in-store sales at the brewery allow for interesting designs on limited run products.